Often the most overlooked pieces of sporting equipment play a significant role, which is exactly what the Elastic Adhesive 5cm Multi Wrap does so effectively. Tried and tested, this tape has elasticated properties suited for general strapping with non-fray edges preventing the bandage from marking the skin and high quality extensible tension for correct positioning. 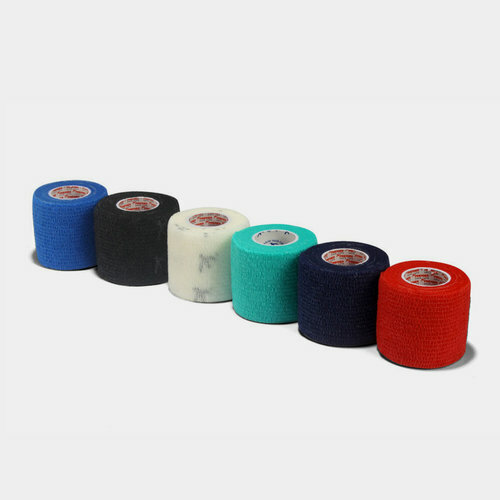 Without constricting blood flow, the tape maintains its original size making it ideal for protecting ears in the scrum, supporting fingers, thumbs and wrists, securing bandages, sock tie-ups and has other uses such as helping secure socks. Used by professional clubs, this accessory tape is premium grade at an economy price and comes in a variety of colours to choose from.